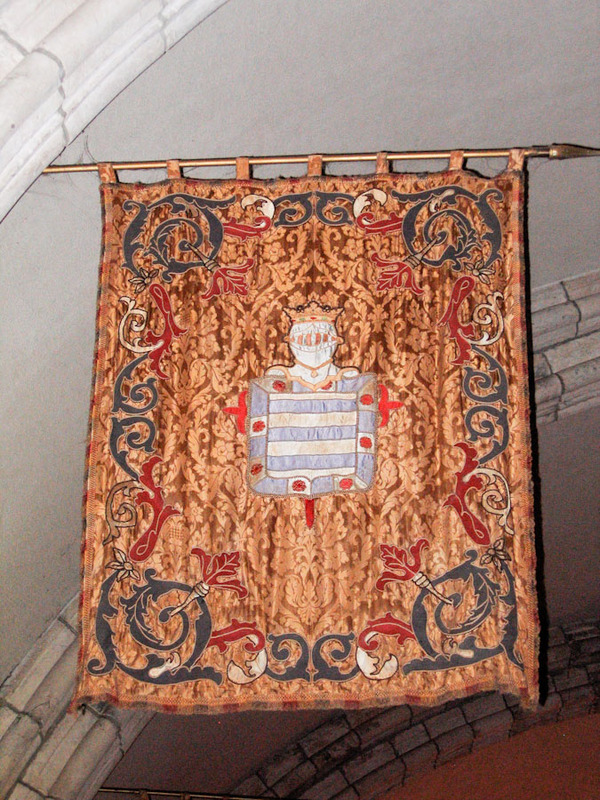 Description: One of the flags hanging in the chapel of the monastery denoting the coat of arms of the families of Diaz, DeSoto, Cortez, and Hernandez. These families were considered Spanish royalty. TIFF File: A high resolution TIFF of Coat of Arms (28.9 Mb) is available for download. This is a very large file suitable for printing. For most on-screen purposes, you should use the image displayed on this page instead of this TIFF.